A set I made just for fun. 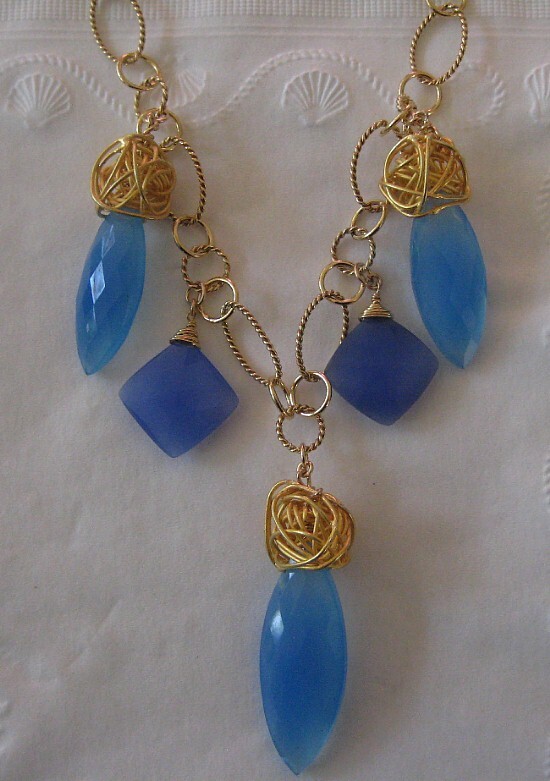 Two shades of blue chalcedony. 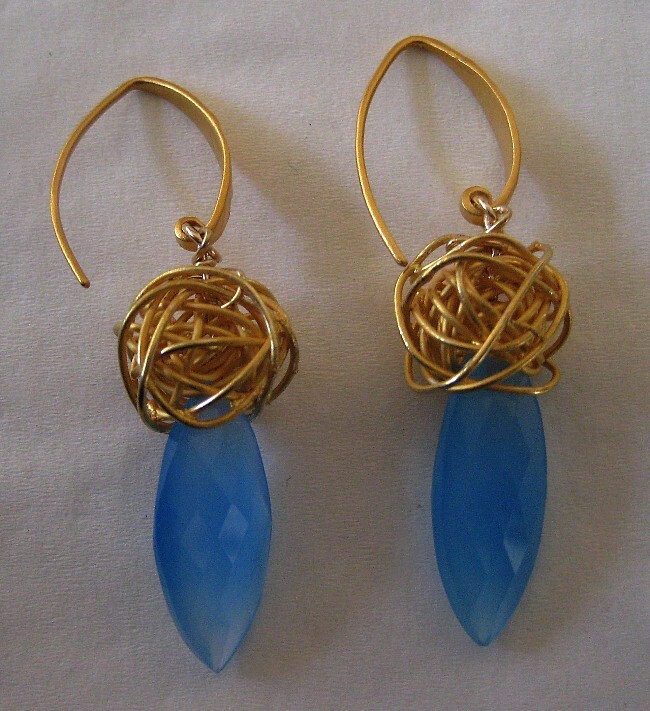 The marquise shape is topped with woven vermeil wire. Same with the earrings. Gold filled chain. I like this with jeans or anything casual. Looked to me like I lost a photo of the necklace. If you are now seeing double…sorry about that. I dont know what happened.